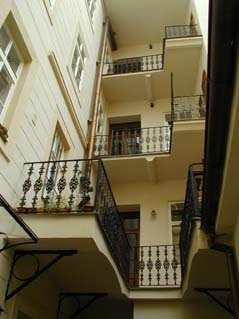 PRAGUE OLD TOWN APARTMENT HASTALSKA - 2bdr. 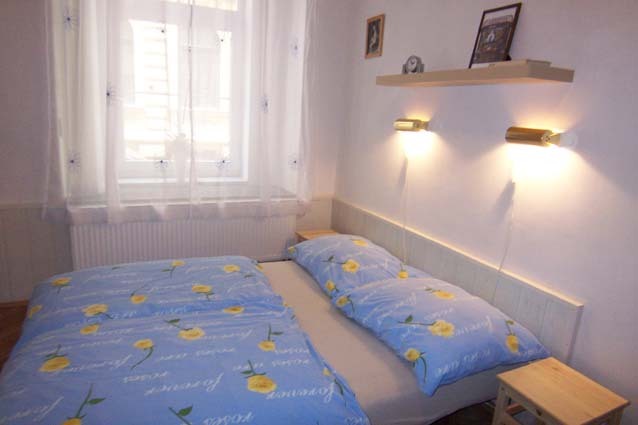 Looking for short term housing in Prague ? 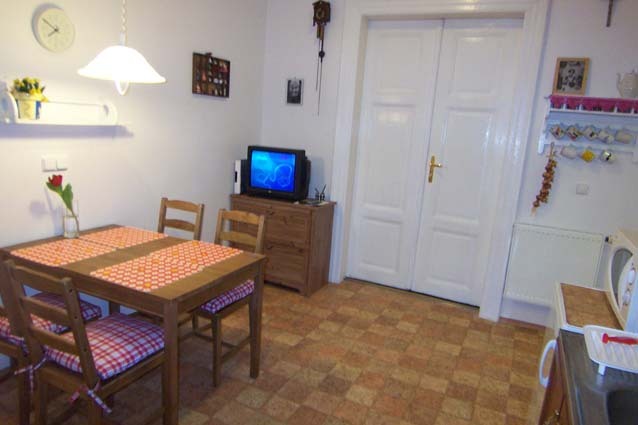 This apartment can accommodate groups of 1 - 4 persons comfortably. High speed internet - Wifi. 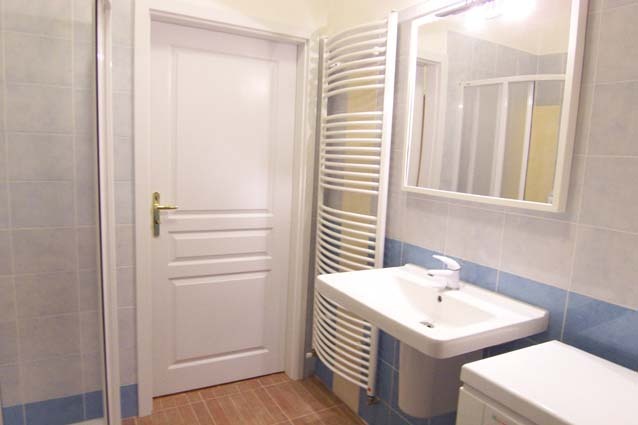 Price per 1-2 persons / apartment /night is 2000 CZK (83 EUR), additional person 600 CZK (25 EUR)/night. 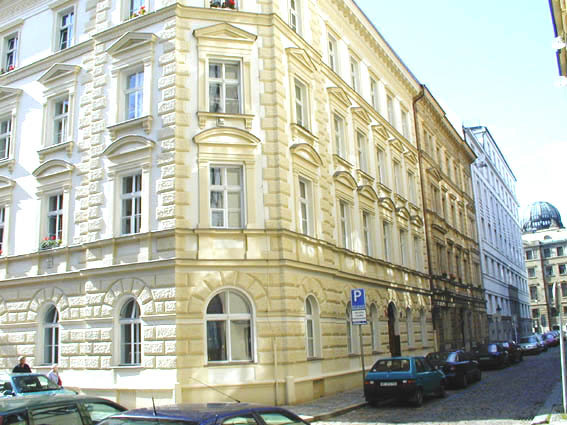 Weekly rate per 2 persons/ apartment is 10000 CZK (407 EUR or 574 USD), weekly rate per 3-4 persons is 14200 CZK (585 EUR or 816 USD). 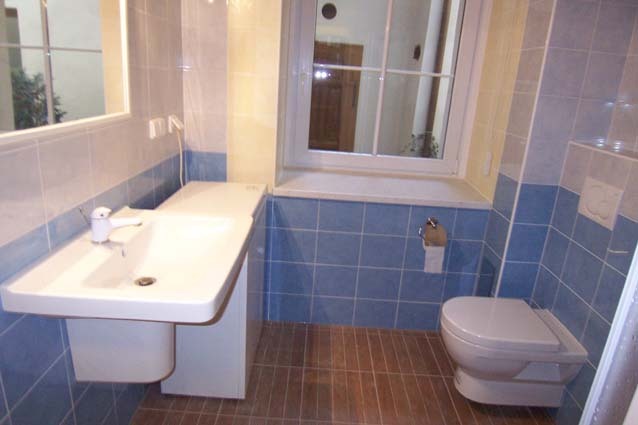 Monthly rate 18000 CZK (733 EUR or 1034 USD) + utilities( approx.101 EUR - 143 USD), internet access included. Prices in EURO, USD are only informative and approximate, converted according to the current rate- see below Exchange rate converter. Minimum stay 2 persons / 3 nights. 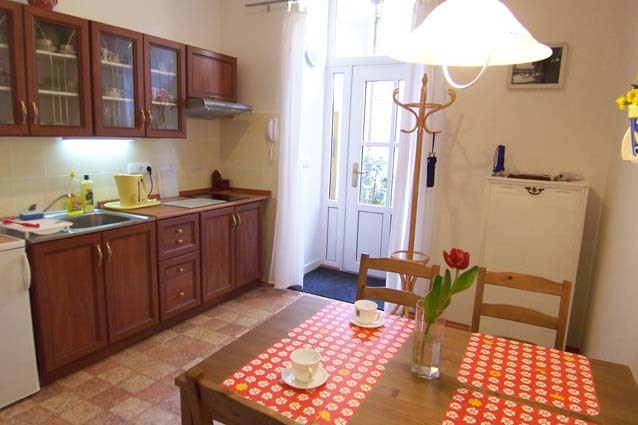 Prague Old Town apartment Hastalska street - we offer you accommodation choice in heart of one Prague`s most interesting districts - Old Town. 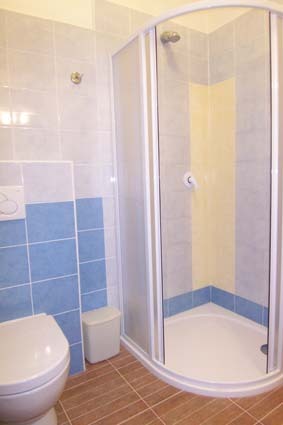 This ground floor apartment is situated on a quiet street, just 5 minutes by foot from the Old Town Square. For its location is an excellent point of departure for walks through the historical centre and main sights.This romantic part of Prague is very popular for its peace and relaxed atmosphere. 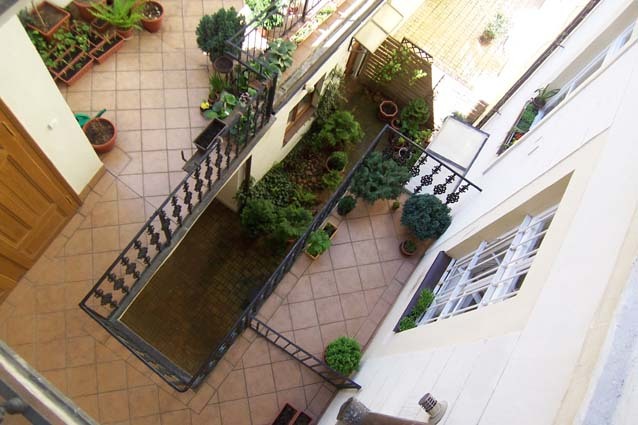 Numerous typical restaurants, beer pubs,cafes and shops can be found in the surrounding of this apartment. All historical sights are within 5 - 30 min walk from the house. You need not use public transport or taxi.There are many historical buildings ( some dating back to the 14 th century), near public transport - tram station Revolucni street,subway station line B - "Namesti Republiky". 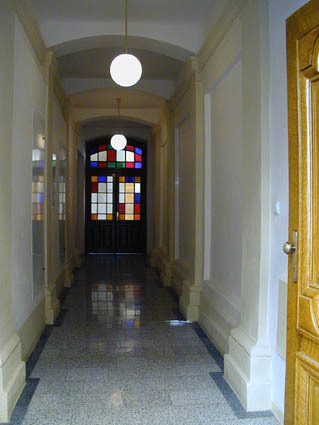 Apartment is situated in the renovated building from year 1862.Entrance to the apartment from courtyard with small pleasant garden. 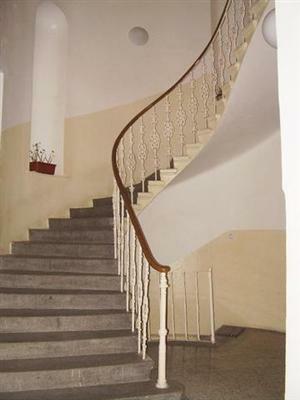 A flat has been tastefully restored throughout.This apartment with its clean and comfortable rooms offers a homely and really relaxing atmosphere.Consits of: 2 bedrooms with a double bed, Sat-tv,radio,kitchen (newly fitted) with dining area with table and 4 chairs (dish washer,microwave, coffee maker, refrigerator,toaster,kettle,ceramic elektric stove, iron facilities). 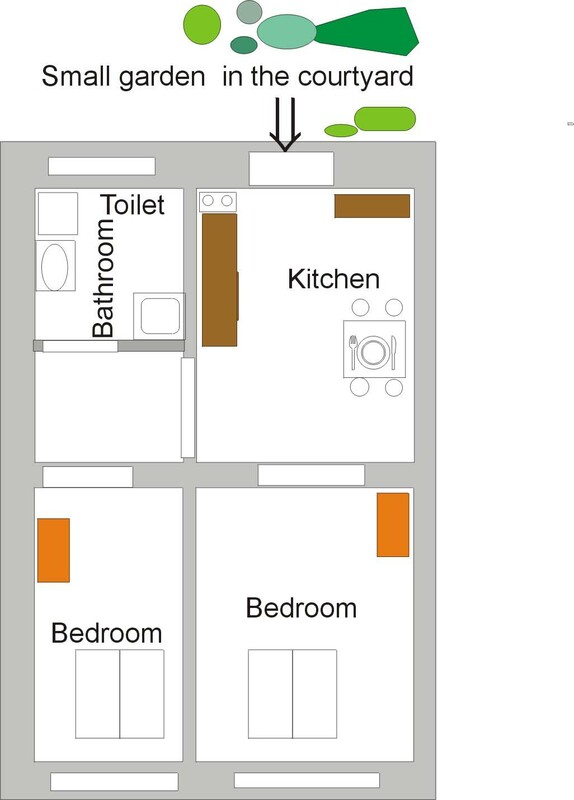 Bathroom with shower, washing machine, hair dryer, toilet. 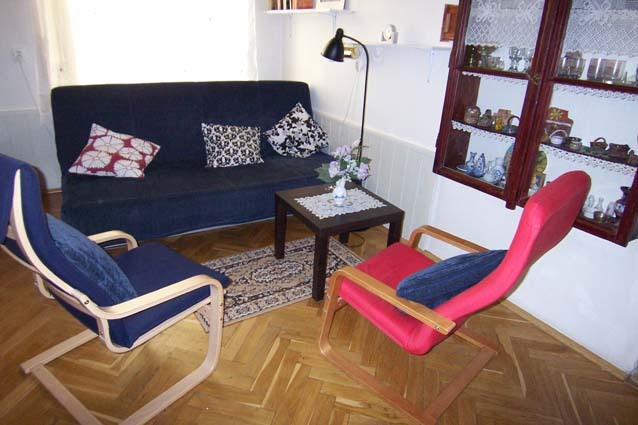 All rooms have parquet (wooden) floors.Baby cot available.